Hey everyone! 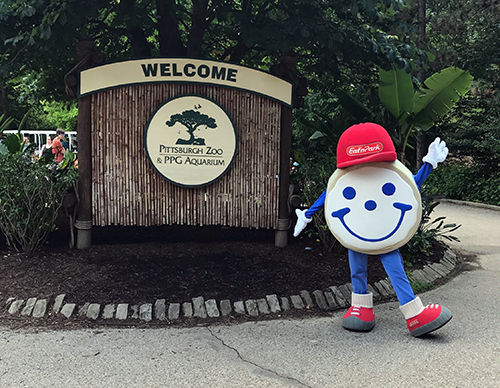 Kelly here – Team Smiley had a blast visiting the Pittsburgh Zoo and PPG Aquarium for Eat’n Park Family Week! 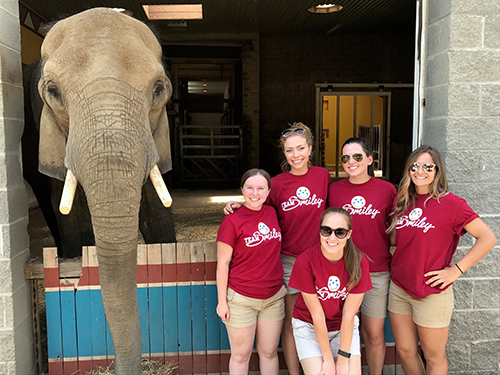 On June 23rd and 24th, the team spread smiles both inside the aquarium and outside in the Safari Village. Smiley loved hanging out with all the marine animals and wildlife! The weather was beautiful, bringing lots of Eat’n Park fans to visit the zoo and enjoy mini Smiley Cookies! Team Smiley had the chance to meet Vic, short for Victoria, one of the elephants at the zoo. She was very friendly and nice enough to pose for a picture! 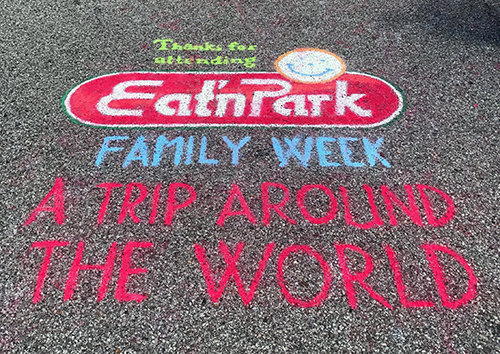 It was a fun-filled weekend for Team Smiley and a great Eat’n Park Family Week overall! Click here to see where Team Smiley will be next and make sure to follow us (@enpteamsmiley) on Twitter and Instagram! Hope to see you at the zoo next year! Salads Your Way With Our Soup, Salad & Fruit Bar!